Opis: Improvement Era, Vol. 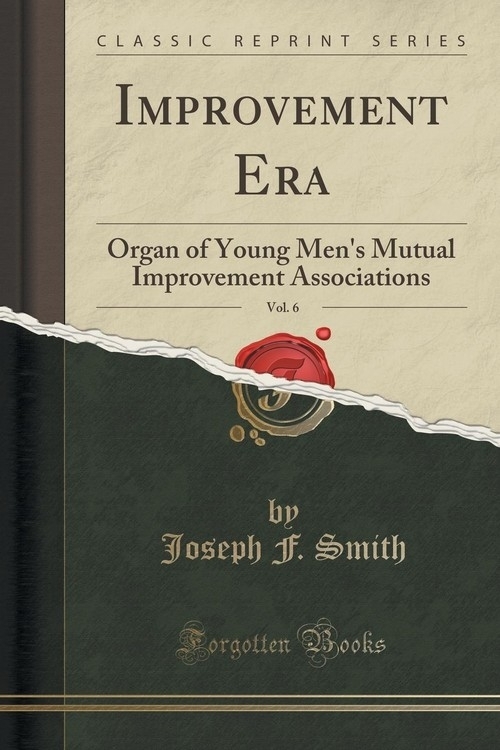 6 - Smith Joseph F.
Improvement Era: Organ of Young Men's Mutual Improvement Associations was written by Joseph F. Smith and Edw. H. Anderson in 1903. This is a 89 page book, containing 32504 words and 8 pictures. Search Inside is enabled for this title. Szczegóły: Improvement Era, Vol. 6 - Smith Joseph F.
Recenzje: Improvement Era, Vol. 6 - Smith Joseph F.